FACT CHECK: Did a GOP Candidate Insult a Parkland Shooting Survivor on Twitter? Did a GOP Candidate Insult a Parkland Shooting Survivor on Twitter? 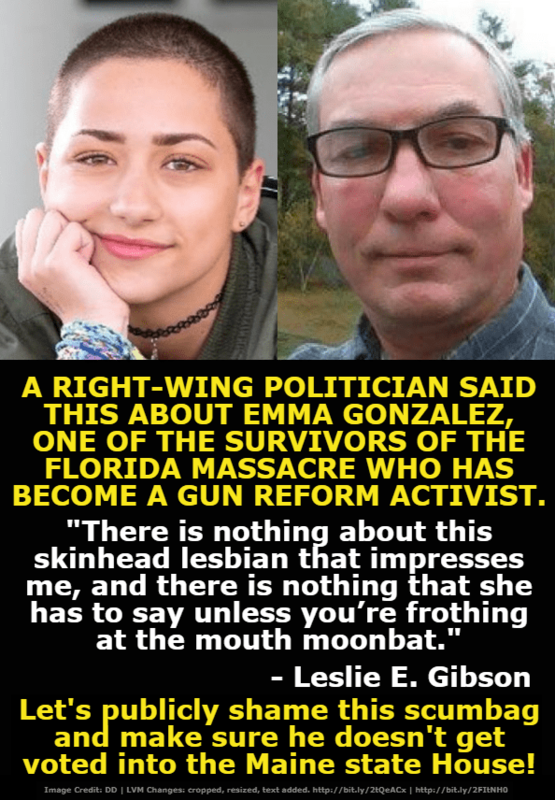 Leslie Gibson, a Republican candidate Maine's House of Representatives, called Parkland school shooting survivor Emma Gonzalez a "skinhead" and a "lesbian." Maine legislature candidate Leslie Gibson insulted Parkland shooting survivor and activist Emma Gonzalez via Twitter. The question for #mepolitics readers everywhere is: do they believe @gibson_house? The 18-year-old whom Gibson singled out, Emma Gonzalez, is perhaps the most visible of the students from Marjory Stoneman Douglas High School in Parkland, Florida. In the wake of a massacre there that left 17 students or staff members dead, she has emerged as a leader in a students’ fight to make assault rifles harder to acquire. “There is nothing about this skinhead lesbian that impresses me and there is nothing that she has to say unless you’re frothing at the mouth moonbat,” Gibson wrote. Gonzalez, who has a buzz cut, called herself a Cuban bisexual in a piece she wrote for Harper’s Bazaar. She also declared that she likes to draw, paint, crochet, sew and embroider, cannot pick a favorite color and watches Netflix. “But none of this matters anymore,” she wrote. “What matters is that the majority of American people have become complacent in a senseless injustice that occurs all around them. The other student whom Gibson has criticized and ridiculed, David Hogg, has also been outspoken in taking on the National Rifle Association. Until his comments about the Parkland students gained national attention, Gibson was the only candidate who had declared for the seat, which is being vacated by term-limited Republican Rep. Stephen Wood, who is prevented from seeking re-election by Maine’s term limits law. 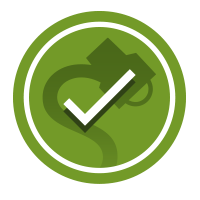 But [then] Democrats David Gilbert of Sabattus and Eryn Gilchrist of Greene, as well as Republican Thomas Martin, a former state senator who now lives in Greene, all entered the race. [Lewiston] Sun Journal. 12 March 2018. Bangor Daily News. 16 March 2018.